Consumers looking to have a vehicle must know about the leasing and buying features. Leasing is an alternative to buying that must be considered. Leasing has become very popular as reports indicate that over half of all luxury cars are leased. Getting a car on a lease costs less since consumers usually only pay for the car's estimated depreciation over the course of the lease period instead of the car's total value. However, there is no car ownership involved since leasing only allows customers to use the vehicle. Here is a list of pros, cons, and reasons for leasing and purchasing of vehicles. Lower costs. Leasers are only charged for the car's depreciation instead of the full value. Leasing provides lower monthly payments in comparison with a purchase finance options. Low or no down payment. Leasing requires lower or even no down payments. It is a viable option for consumers that do not have enough cash to purchase a vehicle. Simple turn over. There is no selling hassle after the lease term is over. Consumers only need to turn the car in and lease a new car if desired. No equity. Consumers that lease cars get no equity value from the money spent to use the car. The car will never be owned, unless the lease contract allows for a purchase opt-in after the lease term is over. Extra insurance costs. Lease insurance doesn't usually include full coverage on stolen or totaled cars. Extra insurance, called gap coverage, can be purchased to cover for these events at higher prices. No flexibility. Lease car companies charge big fines to consumers who want to withdraw early from a lease term. Depending on the lease contract, fees can cover up to six months of lease payments. Extra charges. Miles are a major factor to consider on lease vehicles. Most lease contracts allow up to 15,000 miles per year at no extra charge. Heavy car users would incur charges of 15 cents per extra mile. This can amount to hundreds of dollars more per year for heavy drivers. Consumers should buy a car for the long-term ownership benefit, which would eventually require no monthly payments. The main aspect to consider would be the final amount spent versus the car's yearly or mileage depreciation. Car buyers can drive their cars without any mileage restrictions. Drive without having to check on the odometer on a constant basis like lease drivers. Car owners can customize their rides as they see fit. Add any features or details to the car as preferred. There are many factors to consider on whether to lease or buy a car like available money, usage, and resale value. Check all options to know which one fits your finances and tastes. Experts suggest leasing as an option to financially capable consumers that like to drive new cars every couple of years that otherwise could not afford this alternative. 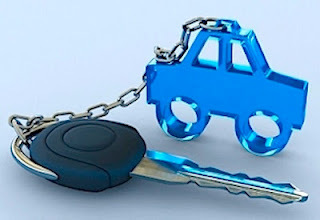 This article is provided courtesy of Auto Loan Experts, a consumer finance website providing information and tools on auto loans for people with bad credit.